Walkin’, the Album, is a sonic documentation of the bands epic adventures through North East India and Kathmandu, delving into Afro Dizzi Act's need to see & perform with the world and its people. 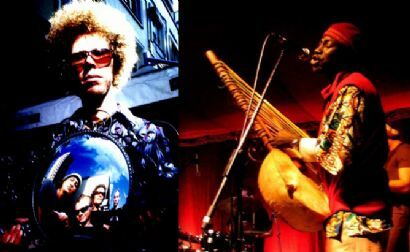 Featuring West African master Kora & vocalist/story teller Jali Buba Kuyateh on the title track Walkin’, Afro Dizzi Act have created an energetic multi-lingual global feast that cooks along with rich flow of African roots blended with the signature deep grooves the band are known to produce. Jali Buba Kuyateh is of Griot heritage with thousands of years of family lineage as a musician, poet, storyteller and keeper of history and tradition.